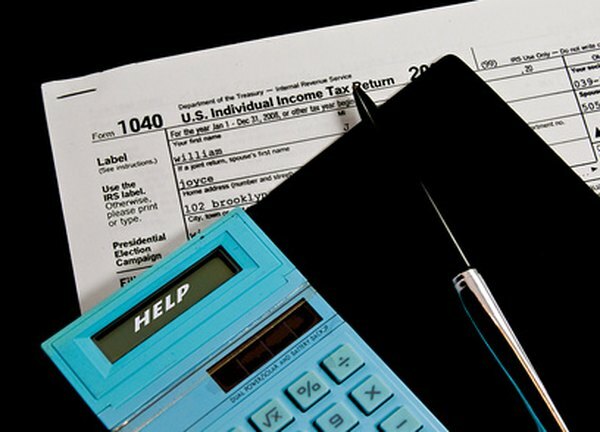 Use your completed Form 1040 to figure your effective tax rate. 1. What Is My Income Tax Bracket? It’s tough to escape talk of tax brackets, especially when politicians get fired up. Your tax rate depends on the salary you make, along with your filing status and a few other variables. By calculating your tax rate and paying attention to the tax brackets for 2017 and 2018, you can get a good picture of how you’re being taxed each year. To calculate your effective tax rate, simply divide your total tax expenses into your taxable income as documented on IRS Form 1040. Calculating your income tax rate is fairly simple as long as you have all the information in front of you. Line 15 on the new Form 1040 shows the total tax you paid for this year. To get your effective tax rate, you’ll divide your total tax expense by your taxable income. You’ll find your taxable income on line 10 of the new tax form. If you’re calculating effective tax rate for a business, you’ll take a different approach. Your effective tax rate will be the total tax expenses for your business divided by your earnings before you account for those taxes. It’s important to note that the effective tax rate is specific to income tax, not other taxes you pay such as sales tax. Your effective tax rate is expressed as a percentage. If you made $50,000 last year and paid $10,000 in taxes, your effective tax rate was 20 percent, since $10,000 divided by $50,000 is 0.20. Effective tax rate should be distinguished from marginal tax rate. Your marginal tax rate is different from your effective tax rate because with marginal tax rate, deductions are subtracted. So, the percent you pay following current tax brackets is based on the money you had after tax-deductible expenses, not on your entire earnings, as your effective tax rate is. Both figures can be useful in determining how much you’re paying in taxes. Although typically the effective tax rate calculator doesn’t include sales and other types of taxes, there are instances where analysts will include all the taxes an individual faces each year when determining the effective tax rate that person pays. This can be useful if you’re comparing the effective tax rate of more than one person since income tax is only one type of tax paid on an annual basis. To truly get a picture of how much someone pays in each year in taxes, it can be helpful to consider everything. Before you can apply any effective tax rate calculator, it’s important to know what’s changed for 2018. If you’re comparing two individuals when it comes to the taxes they pay, you’ll need to note the income tax brackets as they exist for 2018. Starting in 2018, there are seven federal income tax brackets, starting at 10 percent for those who make $9,525 or less and topping out at 37 percent for those who make $500,001 or more during the tax year. With no personal exemptions, you can only subtract your taxable deductions from that to get your marginal tax rate. If you’re filing back taxes, you’ll use the Form 1040 from that year to calculate your tax brackets in 2017. The total tax you paid for the year can be found on line 63, with your taxable income on line 43. You’ll divide the information on line 63 by the number on 43 to get your effective tax rate percentage. Another difference with the 2017 taxes comes in your marginal tax rate. In 2017, there was a personal exemption of $4,050 that was eliminated under the Tax Cuts and Jobs Act. That means before you calculate your marginal tax rate for the 2017 year, you’ll subtract that $4,050 from the amount of income you earned, then subtract your deductions. If you are required to pay state income tax, you can factor this into your calculation. Add your state income tax to your federal tax and divide by your total income to figure your combined federal and state effective tax rate. For example, if you paid $10,000 in state income tax, add $10,000 to $55,000 and divide by $250,000 to get a 26 percent combined effective tax rate. Will Moving to a Higher Income Tax Bracket Cost You Money?